Food is far more than fuel, as it forms a basis for fellowship and illustrates our core commitments about life. By examining the history of food, we learn what is important to various cultures, and the details are telling: The way a people eats reflects their philosophy on pleasure, social interaction, family life, and even conquest. 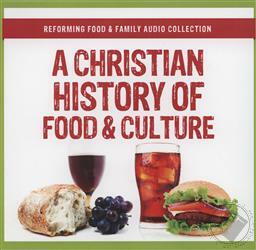 In A Christian History of Food and Culture, historian Bill Potter, Professor Joshua Appel, and noted French chef Francis Foucachon give an intriguing and informative survey of the role that food has played in past cultures. 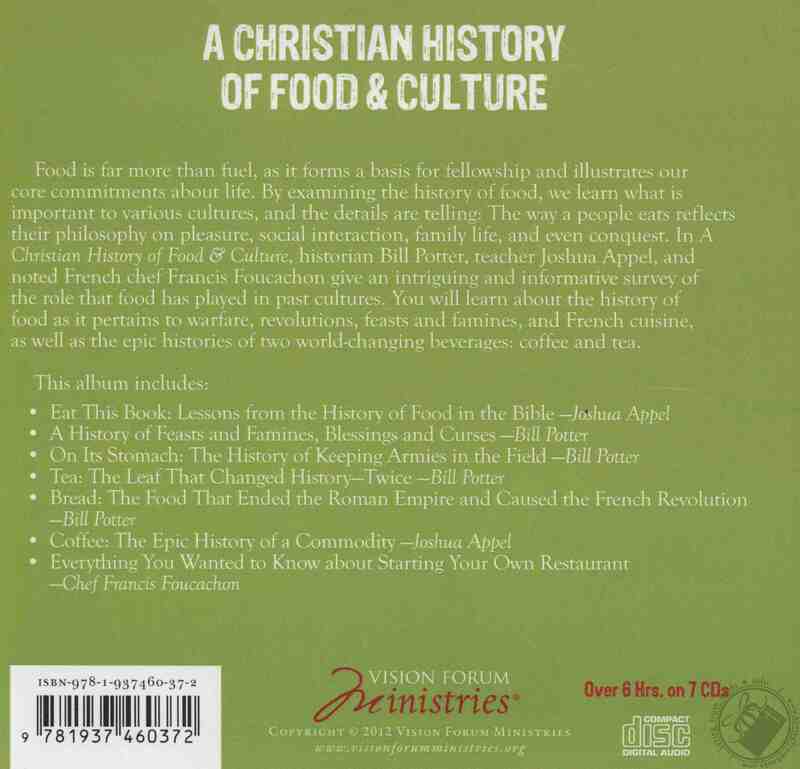 You will learn about the history of food as it pertains to warfare, revolutions, feasts and famines, and French cuisine, as well as the epic histories of two world-changing beverages: coffee and tea. Over 6 hours on 7 audio CDs.